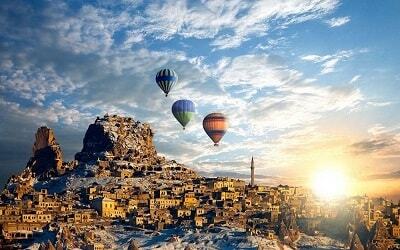 Many of us have travelled by planes, trains, boats and cars. But how many have been under the sea without even getting the slightest bit wet? 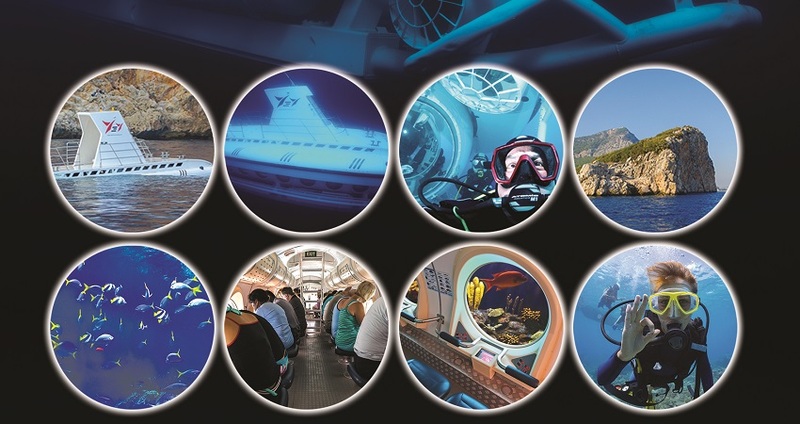 There are not many opportunities in life to experience the feeling of being in a submarine and here in Alanya we have one. 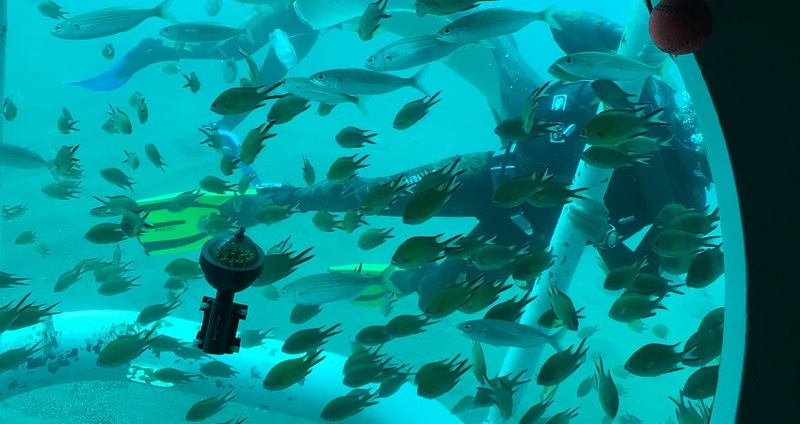 An unforgettable way to visit the colours and sights of the underwater world this is a real once in a lifetime event. Our submarine is a top of the range model and is made with your comfort in mind. With Alanya Submarine Tour we are able to dive to depths of 25 metres giving you front row seats to all of the marine life and species that live in our surrounding sea. The Nimo Primero submarine is Turkey’s first ever tourist submarine. Based here in Alanya but made in Finland it is one of the most modern, technologically advanced and safest submarines in the world. The air pressure inside is kept to a constant which means that you are completely safe during the dive and there is no uncomfortable ear pressure. 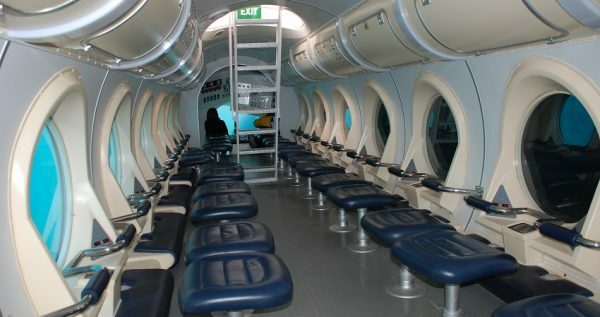 Submarine in Alanya has been specifically designed with large viewing windows to make sure that no matter where you are sat you are right at the front of the action. 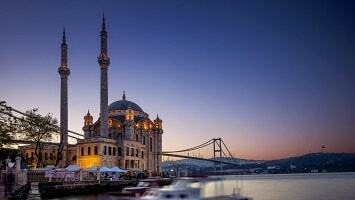 In all, a total off 22 passengers and 2 crew can be comfortably catered for on each voyage. We have 2 dive sessions in a day, one in the morning and one in the afternoon. Each dive is about 1 hour long. Before we dive there will always be a brief safety demonstration. 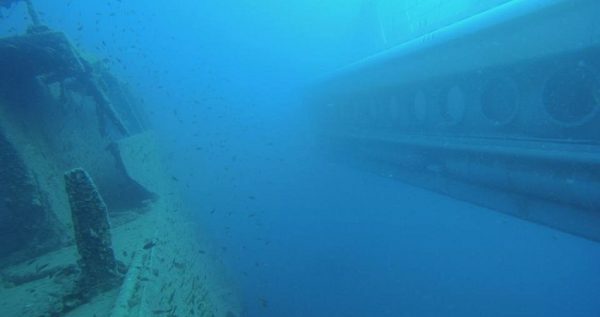 During the dive your captain will guide the submarine to interesting parts of the seabed. The second in command will talk you through the different things to see such as coral, fish and other wildlife. Look out for lobsters, octopus, lion fish and many different types of tropical fish. This really is the biggest aquarium visit you’ll ever take. Outside of the submarine our team of divers are on hand to point out different things and to have fun with you as you go along the way. The photo and video opportunities are endless during this experience. It is like you are exploring never before seen or touched parts of earth. 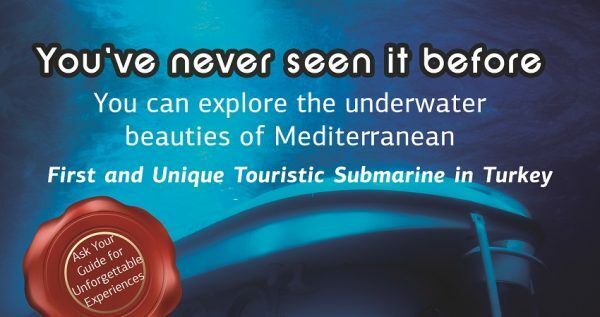 Alanya Submarine Tour is a great opportunity for families or anyone who maybe doesn’t want to dive but still wants to see what is down, underneath the waves. 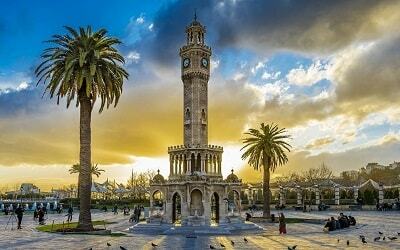 Once we arrive back on dry land our driver will be there to take you back to your hotel in Alanya. You don't need to wear any special clothes, regular day clothes are fine. 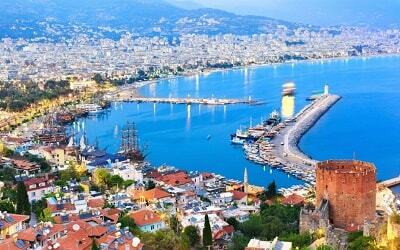 If you like to explore underwater, Alanya Scuba Diving Tour is an alternative for you. Our drivers will come and collect you from your hotel for Alanya Submarine Tour and drive to harbour. We have 2 different launch times, one in morning and other one is afternoon. The submarine itself is called Nimo Primero and it was built in Finland by expert submarine manufacturers. 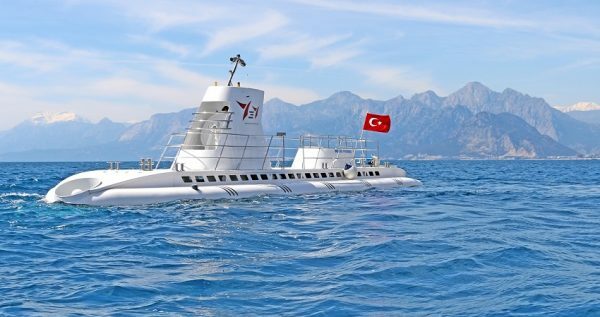 It is Turkey’s first ever tourist submarine. It is one of the most technologically advanced and safest submarines in the world. 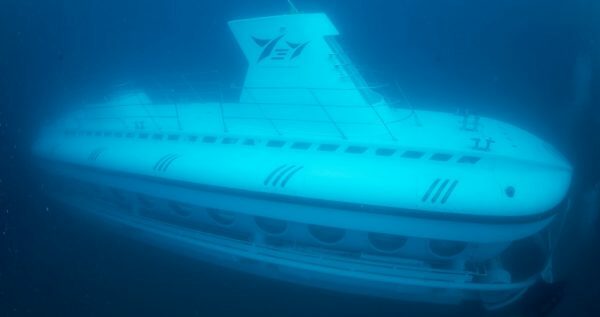 It has also been specifically built for the purpose of touring under the sea. As such the windows are extra large allowing for amazing views of all the goings on under the waves. 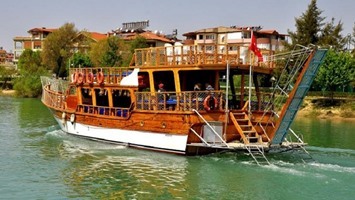 The capacity is 22 passengers with 2 crew members. Alanya Submarine has constant air pressure which means that you will always be comfortable and relaxed and there is no need to yawn or cough to make your ears pop. 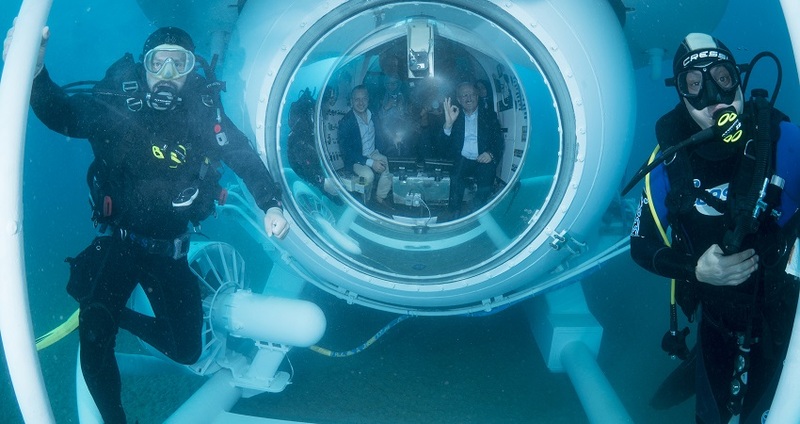 Due to it’s comfort and safety aspect this is a very good opportunity for those who normally wouldn’t go under the water to feel safe and in their comfort zone. Before each dive you will be given a clear and easy to follow safety demonstration so there is no need to worry. The dive takes about an hour and we go to a depth of about 25 metres where some of the best sea creatures make their homes. During this time, you’ll explore with your crew mates the underwater world just off the coast of Alanya. Keep your camera handy as we hunt for different types of exotic fish. All the time you will enjoy the commentary of the co-captain as he expertly points out different kinds of marine life and coral to look out for. Outside the vessel you will see our friendly and fun divers who accompany you along the way. These guys will pick out different things for you to observe and have fun with you all as you enjoy the journey. 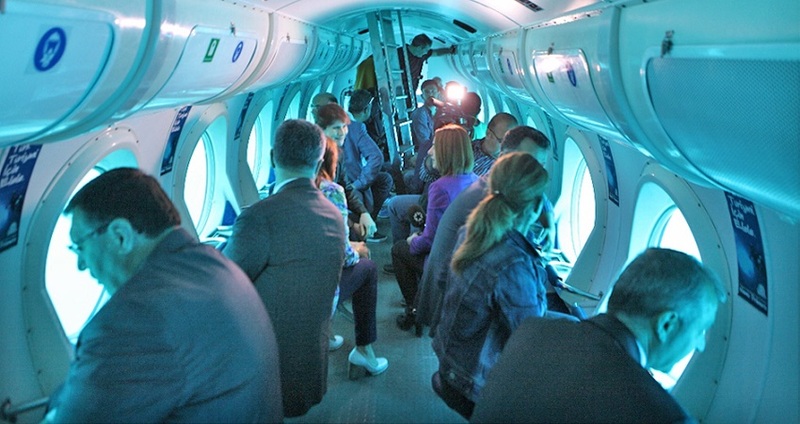 They will also take amazing photos of you inside the submarine. Look out for octopus, crabs, lion fish and more as we gently move around on the bottom of the sea. 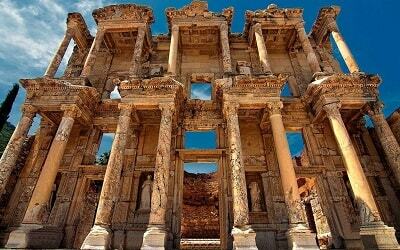 Following your Jules Verne adventure, you will return to dry land and loaded with stories and memories that will last a life time you can jump back into your driver’s car and head back to your hotel in Alanya.